Michael and Savitha fought against all odds to get married. No one from their family supported their union since he’s Christian and she’s Hindu, but none of that mattered to them – they knew that they wanted to spend the rest of their lives with each other. It’s been 10 years since, and they’ve built a small and comfortable world for themselves. Their financial struggles were ongoing, but their family of 4 was a happy one. 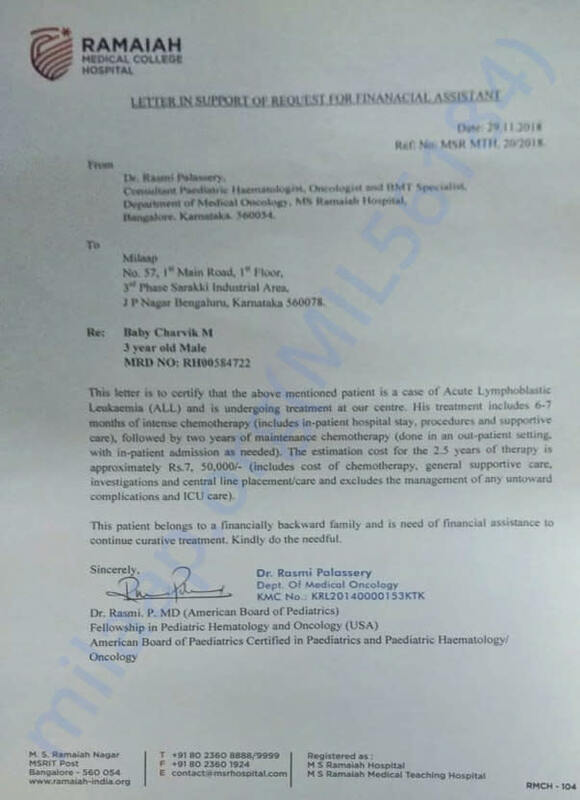 In their small bubble of happiness, little did they imagine that their youngest child would one day have to fight a disease as grave as blood cancer. It’s only been 15 days since his diagnosis, but it’s been the most difficult two weeks for them – everything has been a blur, every minute has been spent in pain and all their savings have been drained dry. 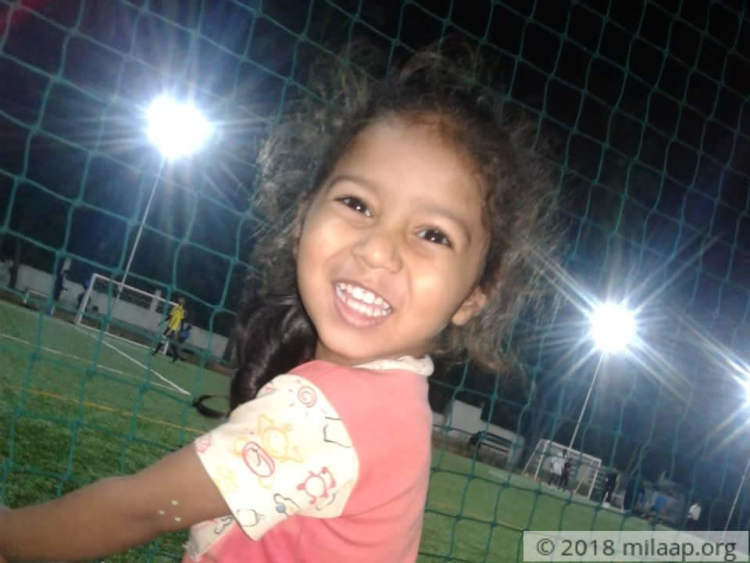 Baby Charvik turns 3 on 21st December, and unlike last year, they won’t be able to get him a cake or balloons that his sister and he will play with. Charvik is now weak and in pain all the time. His bright smile has vanished. He has started chemotherapy, but he needs to continue it for the next 6 months to beat the disease. 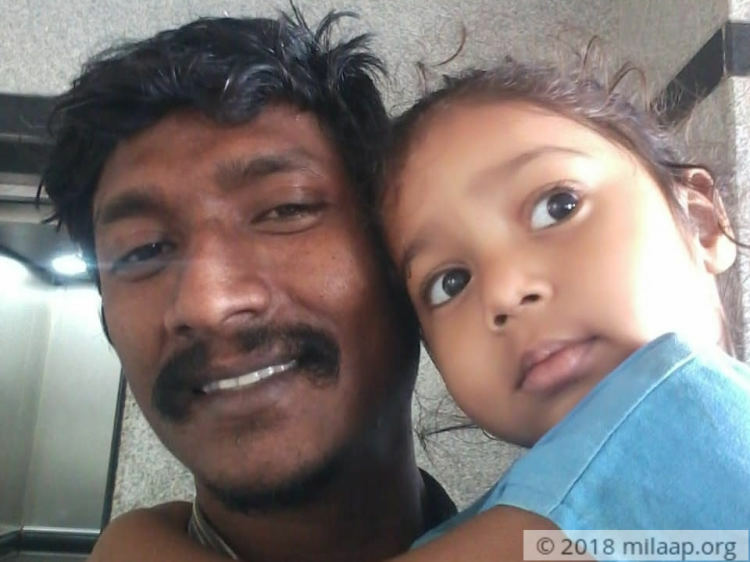 Michael, an auto driver, earns around Rs. 500 per day but has never been able to save much. In the past few weeks, he hasn't even been able to go for work. He has no means to continue his baby's treatment. Michael and Savitha have faced many adversities together. Although they longed for the families' support, and for years tried to get them to accept their marriage, they knew that they had to be each other’s strengths. 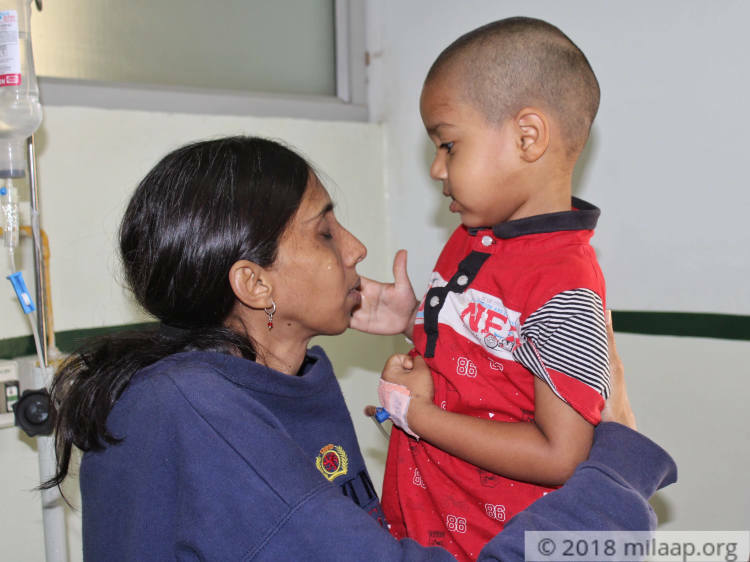 Charvik’s illness is more painful than anything that they’ve ever been through, and now more than ever, they wish they had their family's support. Charvik’s diagnosis was naturally shocking for his parents, but they didn’t waste time starting his treatment. They’ve spent over 1 lakh now by borrowing from friends, but it’s not enough. 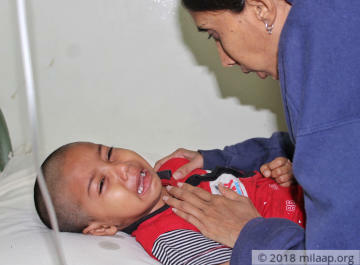 Charvik needs 7 lakhs to get the complete treatment she needs to fight cancer. He can go home healthy with your help. You can help these parents save their son's life. 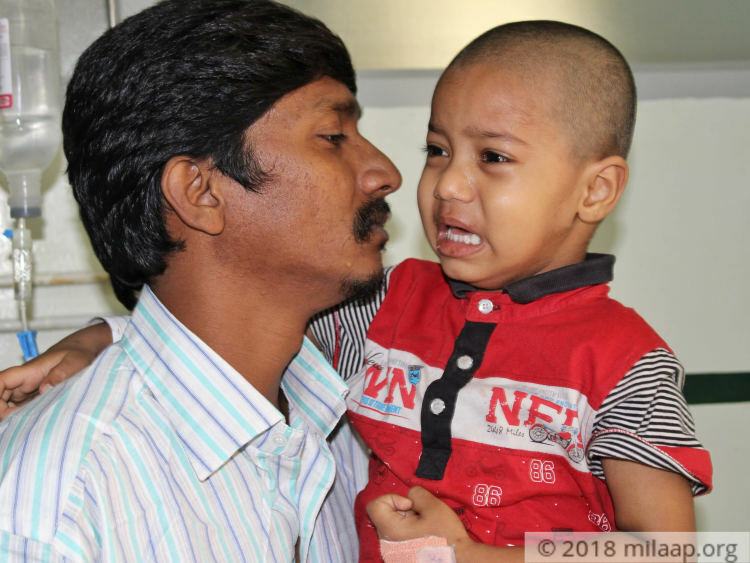 Charvik needs chemotherapy to fight cancer and go back home healthy again.